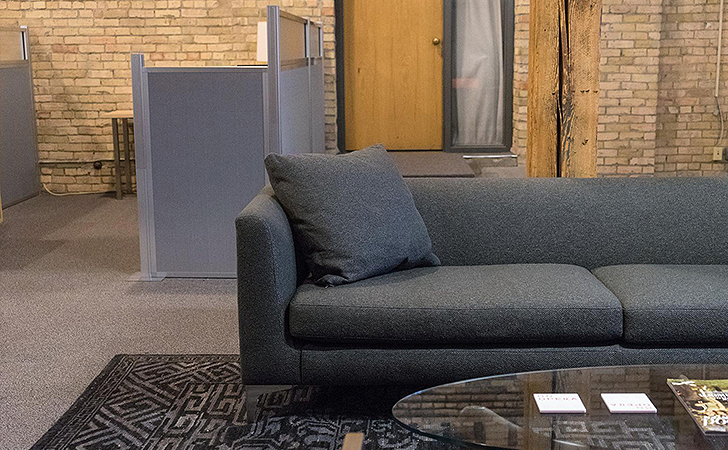 When our friends at Minnesota Opera, a non-profit arts organization based in Minneapolis, wanted to refresh their office, we were excited to help them choose the best furniture for their needs, space and budget. 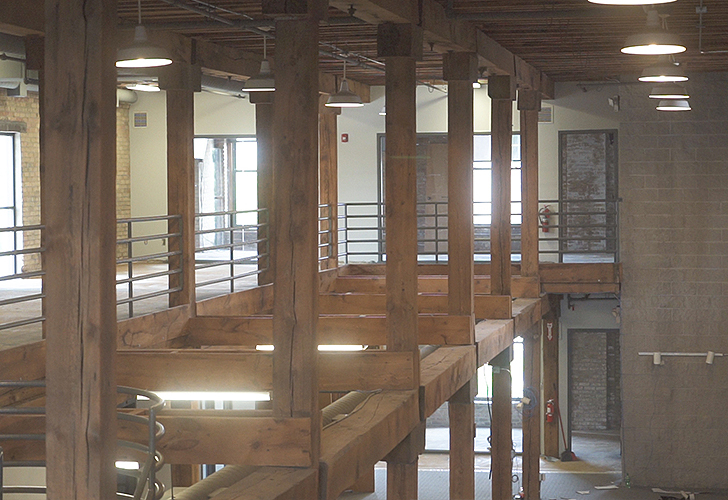 Here’s a look at the transformation of this beautiful, historic building from start to finish. 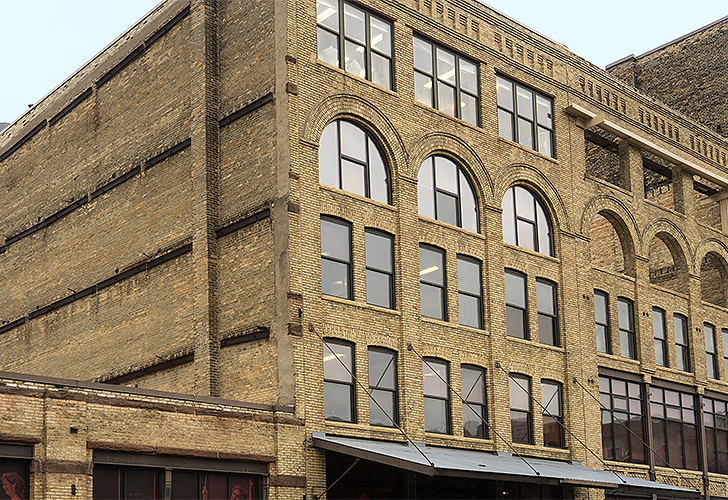 Minnesota Opera has called the Minnesota Opera Center in the Warehouse District of Minneapolis home since 1990. Original construction formed three warehouse buildings. The purpose was to create space for scenic and costume shops, rehearsal facilities and administrative offices, totaling 50,000 square feet. In 2016, the opera welcomed new President and General Director Ryan Taylor, a former resident artist in 2000. He noticed when he arrived that the furniture was the same as it had been since his resident artist days. 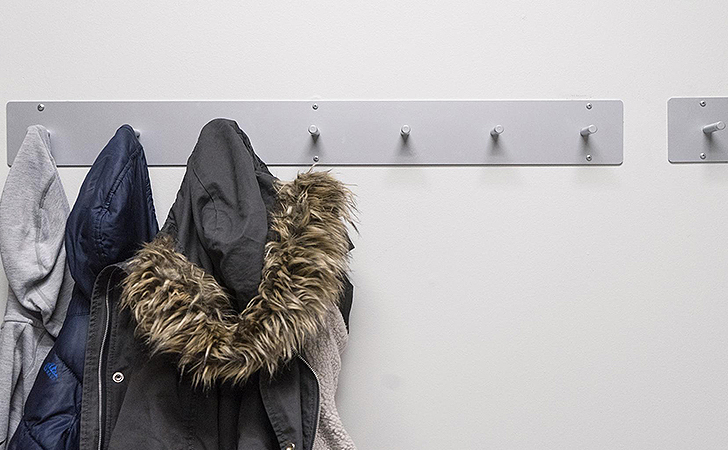 He felt the office needed to be updated to have a consistent look throughout. Ryan described the building as nearly untouched since the 90s. “People that have worked at the opera for a long time didn’t recognize how aged some of the spaces were. When we brought people into our offices it didn’t immediately give them the confidence to want to invest with us,” Ryan explained. 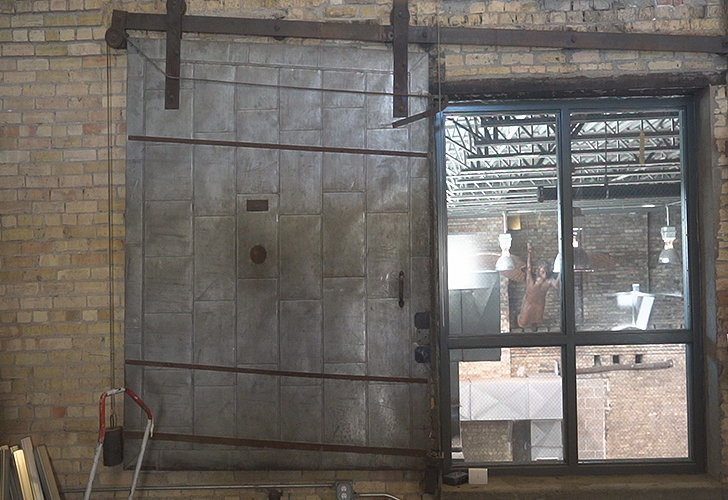 He wanted to modernize the space while still respecting the history of the building. 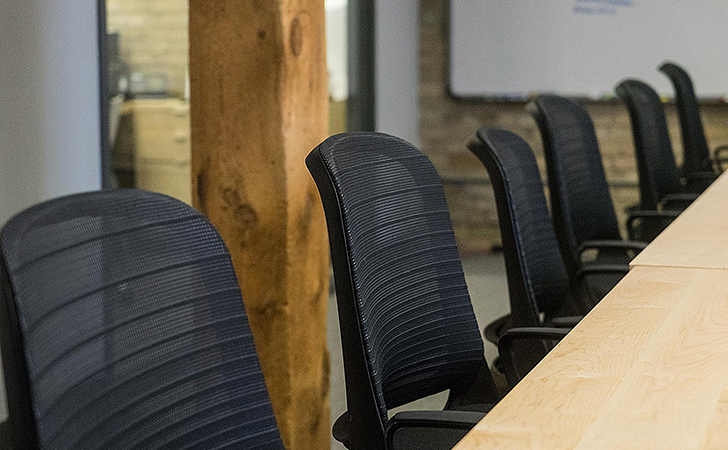 The opera worked closely with our Business Interiors team, located in our central office in Minneapolis, and took advantage of our free design services to help plan the space and create the fresh, modern aesthetic they were after. The opera’s main goal was to give the building an updated look with a cohesive feel throughout. 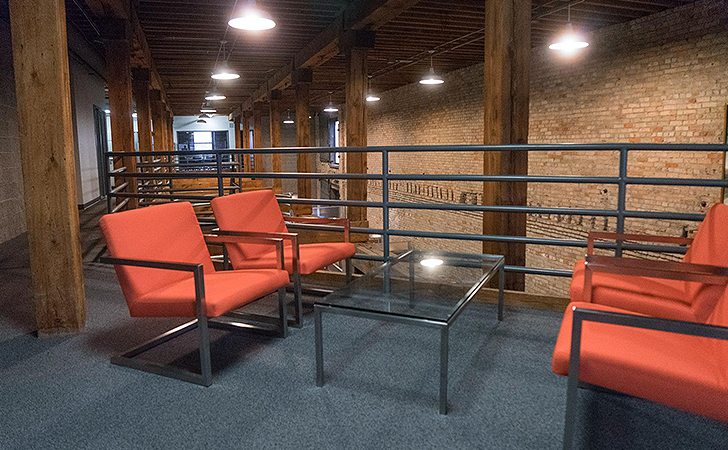 Specifically, they needed workspaces for each staff member along with a few meeting and casual collaboration areas. Design Associates Tim Duffy and Diana Carroll of our Business Interiors team spearheaded the project and kicked off the planning by touring the Opera Center to get a sense of the vision for the space. 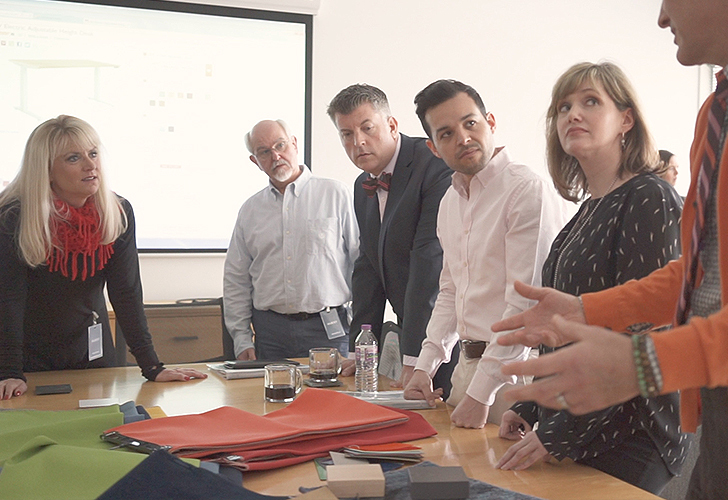 One of the design meetings between the Minnesota Opera and the Room & Board Business Interiors team. The empty space before the delivery of Room & Board furniture. A close-up illustrating the architectural detail of the building. 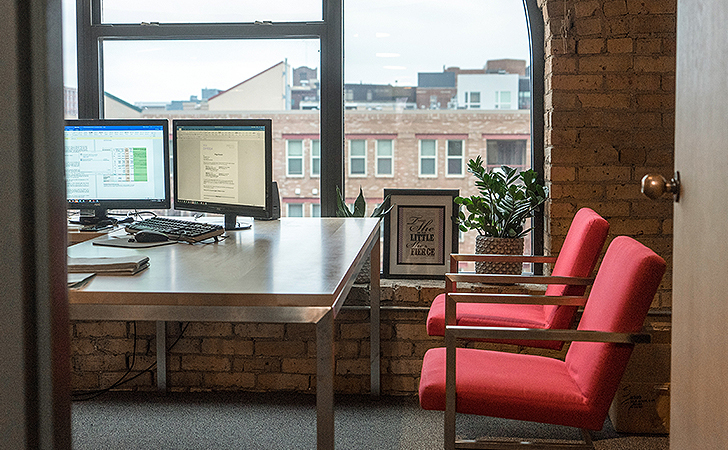 Tim and Diana put together a plan for each type of office, whether it be an executive, administrator or director workspace. Each staff member was able to make personalized selections from a predetermined menu of options for their space. This sense of choice really helped create excitement around the project for everyone. The design plan had three revisions to make sure it was perfect for their team. Along with furniture suggestions, Tim and Diana also advised on interior office standards and decorative elements, such as using opera posters and special costumes as art pieces. This way when the opera gives tours or welcomes visitors into the space, their history and mission are what stands out. To achieve a consistent look, Tim and Diana selected coordinating colors and furniture pieces to complement the architecture of the space. The beautiful camel-colored brick and wood beams drove the color story along with the opera’s newly rebranded logo. The result? A sophisticated palette of maple woods and stainless steel combined with pops of orange, gray and red fabrics. Here’s a tour of the space! 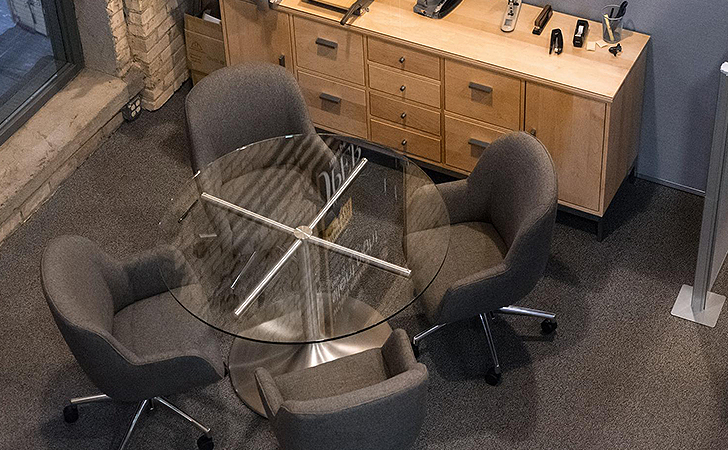 Bird’s-eye-view of staff member workspaces. Ryan also recognized the value of working with our expert design associates and utilizing our free design services. “If we would have had to go and hire an outside design firm to help us manage the project, I don’t know if we would have been able to afford to execute it,” he explained. Want to see more? 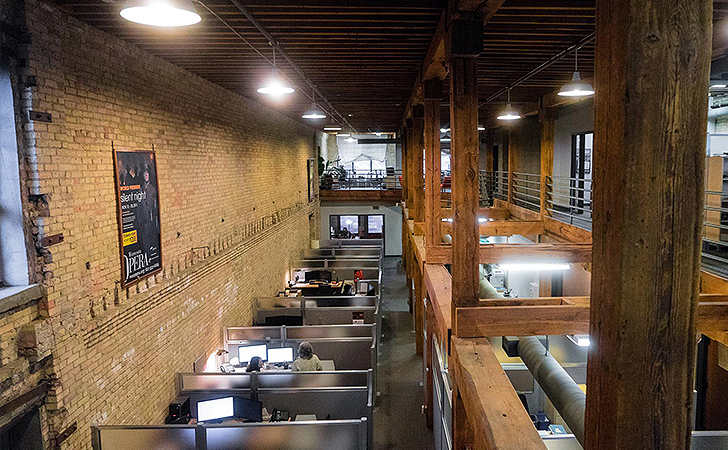 Get a virtual tour of the space with more before-and-after shots below. Ready to start your project? Get personalized ideas and advice from our non-commissioned Design Associates in our stores, over the phone or online!